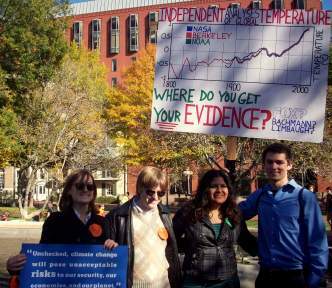 Participation in activism and advocacy is crucial to foster real organized change. The ACS Student Coalition supports its members in their participation in non-violent demonstrations. 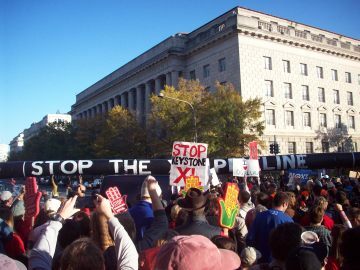 ACS Students at the Keystone XL Pipeline Protest in Washington D.C.
ACS students are encouraged to become knowledgeable about policy to engage in informed advocacy through activities such as attending citizen lobby events. 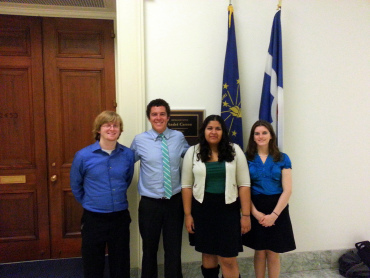 ACS students lobbying for ocean policy in Washington D.C.